The festival officially started today and as always, there is a wealth of whacky art to feast upon, all of which ranges in scale and eccentricity. Notable installations include: Tree of Ténéré by California foursome Alexander Green, Mark Slee, Zachary Smith, and Patrick Deegan, a 32-foot-tall tree made from 25,000 leaves and 170,000 LEDs that reacts to biorhythmic and sound; Gummie Bear Mandala Pyramid by Long Beach artist Karla DelCarpio, which is made from 100,000 hand-cast gummy bears and rises to 12 feet; and Zachary Coffin’s Temple of Gravity, a returning installation that encourages visitors to climb on hanging rocks. Images of these, and more can all be found below. 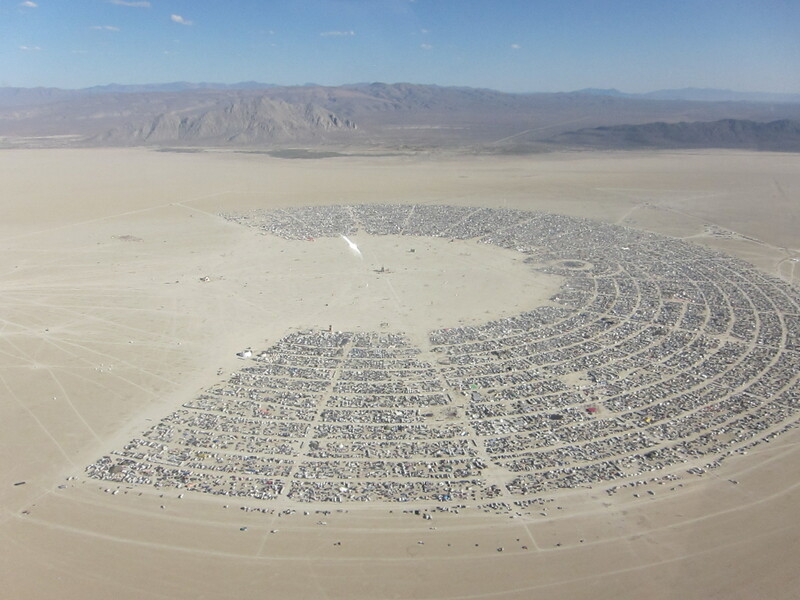 A full list of the 2017 Black Rock City honoraria recipients can be found here.